You’re looking for a new home and you’re considering maintenance a golf course home. They seem like a dream, but can they really be a nightmare? 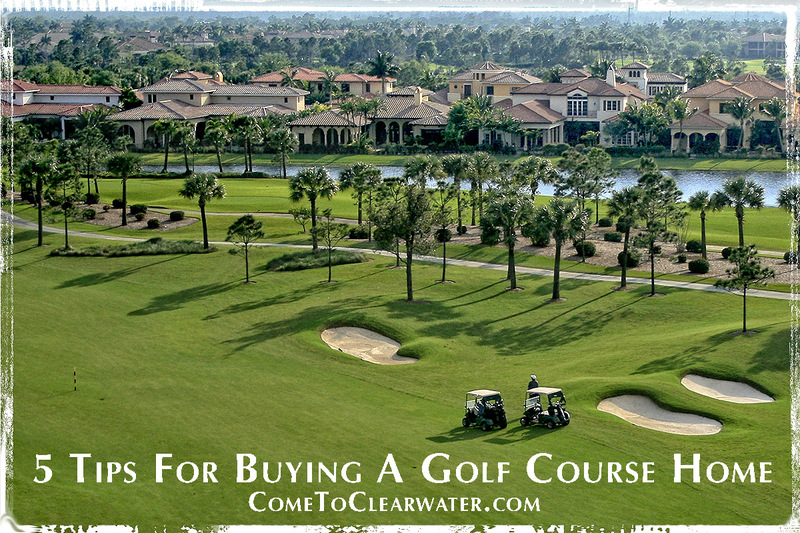 Here are the good, the bad and the ugly of owning a golf course home. 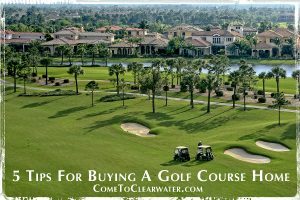 First and foremost, a golf course community will have deed restrictions and a homeowners association. That means what you can do with your home and property is subject to the restrictions and the HOA. In order to maintain a certain look and feel of the course, house exterior paint colors are limited and putting things in your yard like a swing set or sandbox are usually a big no no. Think you’ll be able to get away with it? Think again. Those golfers paying for the privilege of using the course will probably complain to the community or HOA if they see something is amiss. That may be a big deal for you either way, so be sure to ask about it before buying. Along with those deed restrictions, be aware that during off hours the actual course and cart paths are not for community use. You can’t walk, jog or bike on cart paths or the greens. Letting your dog run on the fairway is really not ok. If space to do those activities is important to you ask about community space set aside for them. Those gorgeous grass courses need constant maintenance. Course management won’t inconvenience their bread and butter, the golfers paying to use the course. So all that grass is cut very early in the morning, most likely before sunrise. That means that the groundskeepers are out on golf carts and riding mowers with headlights. If a bedroom window faces a green, those lights will shine on through. And while the golf carts may be quiet electric ones, the mowers certainly aren’t. The path for golf carts will run along one side of the fairway from tee box to green. If that’s behind your home, you’ll see them all day. So remember that if the home you are looking at is less expensive than others in the same community, there are probably cart paths close by. Those greens and tee boxes are also a gathering place for golfers. That means you will hear conversations and laughter and see a lot of rather loud clothing. Did you know that knowing demographic information about whose home you are buying can help you get the best deal for the home you want? According to the NATIONAL ASSOCIATION OF REALTORS® 2016 white paper entitled “Profile of Home Buyers and Sellers” spells out the characteristics of home sellers from June 2015 through June 2016. So what are those statistics? 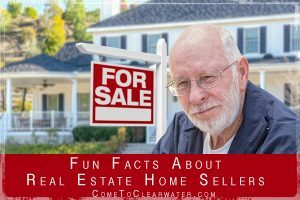 Well how about that the typical home seller was 54 years old in 2016, or that sellers typically lived in their home for 10 years before selling. Want more? How about that recently sold homes were on the market for a median of 4 weeks or that only 8% of recent home sales were FSBO sales and that it was the lowest share recorded since the NAR report started in 1981. Let’s also not forget that 89% of home sellers worked with a real estate agent to sell their homes, The smart ones anyway! 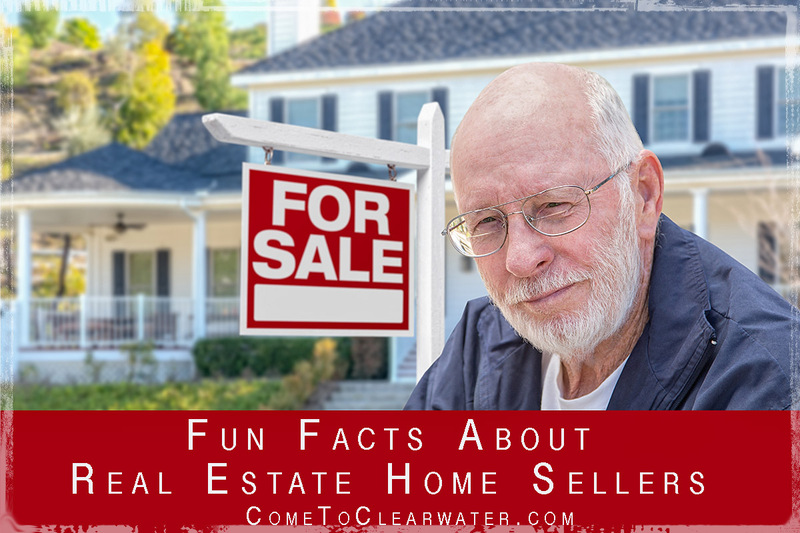 The report also talks about the most common reasons for selling. The first most commonly cited reason is that their current home is too small. The next is a desire to move closer to friends and family or a job relocation. The median final sales price for recently sold homes was 98% of the final listing price and those homes were on the market for an average of four weeks. You know what else? 36% of all sellers offered incentives to attract you, the buyer. Those home sellers sold their homes for a median of $43,100 more than they purchased it. One of the better reasons to own a home! It nearly always makes you money in the long run. 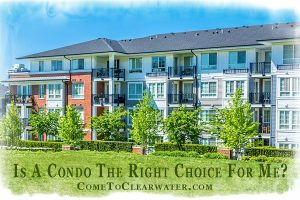 Is A Condo The Right Choice For Me? You’ve decided to buy your own home. Your Realtor has asked you if you’d be interested in looking at condos. So, is a condo the right choice for you? 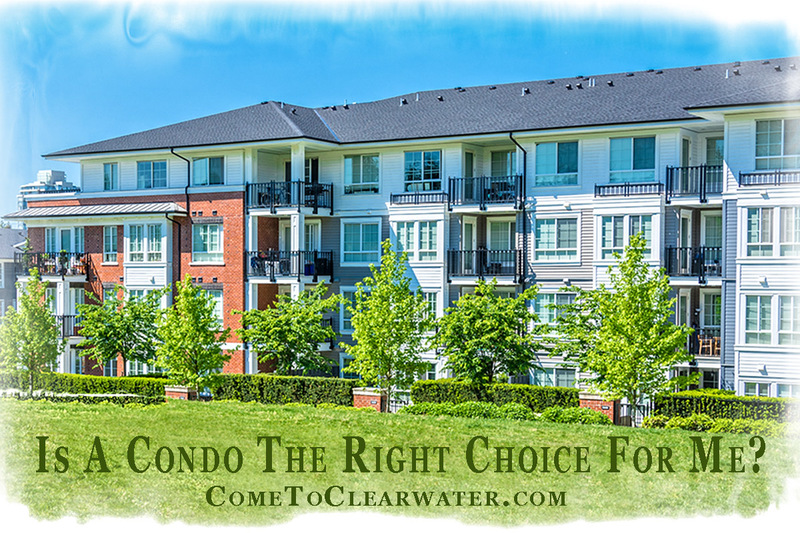 A condominium, or condo for short, can be a great choice for certain people. If you are single, newly married, or retired, a condo may be a good choice. The reasons are many. A condo is a form of home ownership in which the individual owns their unit, everything from the four walls and in, but not the outside parts or the ground the unit sits on. Those areas, known as common areas, are owned by all of the individual unit owners collectively. These are things like hallways, walkways, pools, and so on. The maintenance of these areas is the responsibility of an association which includes every unit owner. That membership includes an obligation to pay monthly dues and any special assessment fees for larger maintenance issues, like a new roof or painting all the buildings. Typically, the association hires contractors to do the actual maintenance, so individual owners don’t have to do the grass cutting, pool cleaning and so on. Maybe so. Condos can be more cost effective for people buying their first home or for people who are retiring and downsizing. Condos tend to cost less to purchase, so a mortgage payment is lower. You aren’t paying for what it costs to have a pool. You aren’t paying extra for a gym membership. With fewer maintenance requirements, that helps costs as well. There is no need to buy lawn equipment, no need for pool supplies, no need for whatever things usually purchased by homeowners to care for their homes. There is also the time savings. No lawns to mow, no gardens to weed, no pools to vacuum. Since you share common areas, socializing is easier to do. As with an apartment building, neighbors are in close proximity, for good and bad. So is it for you? Go see one and find out. 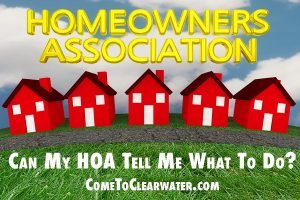 Can My HOA Tell Me What To Do? 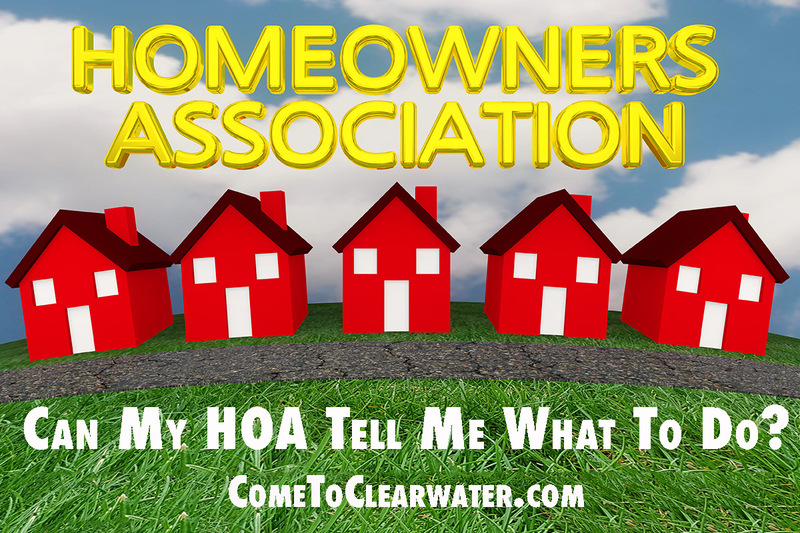 Homeowners Association… the words that can and do strike fear into the hearts of many homeowners. Homeowners associations, or HOAs for short, are put in place to protect the home owners in a development and their home values. They do this through instituting rules. Those rules range from how you can landscape your property, to what colors you can paint your home, to what kinds of vehicles you can keep outside your garage and more. So can they tell you what to do? In a word, yes. Those rules and regulations included in all those papers you signed when you settled on your home give them that power. They can tell you whether you can have pets and if so, how many and what kinds. They can tell you whether you can plant rose bushes or trees. They can tell you that you can’t keep your boat on your property or that your in laws can’t park on the driveway for the week they are visiting. How do HOAs do this? Those rules I mentioned before are known in your deed as covenants, conditions and restrictions. Your deed makes those rules and regulations mandatory. As long as they don’t violate state or federal law, you have to capitulate. The consequences can cost you. From getting behind on your HOA fees to fines for rule violations, those few hundred dollars can turn into thousands. You could even end up with a lien on your home, a garnishment of your bank accounts or paycheck or even a foreclosure. So before you think about fighting your HOA over the trivialities of the height of a fence or shade of your home, study the rules, consult an attorney or just knuckle under. HOAs can and will tell you what to do. Your Realtor asked if you are interested in looking at homes in gated communities and sang the praises of the properties listed in several. He or she didn’t, however, give you all the information about what it’s like to live in one. There are benefits, for sure. There are also drawbacks. Knowing them will mean you can make a decision about whether you even want to look at a home in one or not. Security tops the list. The gate means that unwanted visitors, salespeople and other door to door annoyances are kept out. The gate also keeps criminals at bay. Nothing is foolproof and the gate only acts as a deterrent. But it’s a deterrent that those living outside the gates don’t have. That security also depends on whether it’s keypad protected or live guard protected. Other things that don’t make it through the gates is extraneous traffic. This could mean less speeding cars, though not entirely none because residents drive in and out. You likely won’t have the morning commute using your street as a shortcut either, since they can’t get through. Another benefit is that your property will probably be with more. 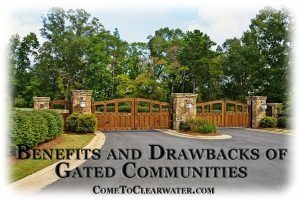 Gated communities tend to have a higher standard of home quality, stricter building codes and uniformity in design. As in any HOA community unkempt yards and obnoxious displays will be less likely. Sounds great so far, right? Well don’t forget there are disadvantages too. All those benefits come with a price tag. There is a higher cost to maintain them. HOA fees and rental prices are more because of the cost of maintaining the private streets, security gates and fencing, and any guards that patrol the community. Those gates can be an inconvenience at times too. If the keypad or gate electronics break it can keep you in or out until they are fixed. When they work there are still “rush hours” when you may have to wait to get through the gate. Any visitors you have coming to see you will have to check in which means waiting to be allowed in by a guard or buzzed in by you. If they are early and you aren’t home or don’t answer the intercom, they will have to wait. And don’t end up being THAT resident who gave out the gate code to the pizza delivery guy meaning now anyone could have it. Not a great way to ingratiate yourself with the neighbors! A few more drawbacks include being farther away from shopping and work also time limits for contractors and service people to come and work on your house. 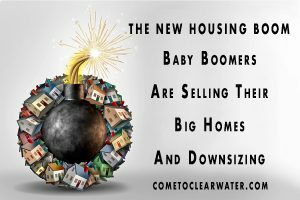 There is a new housing boom and it’s coming from baby boomers who are selling their homes and downsizing into smaller ones. It’s a good thing for new homeowners and those upsizing as well. As the children of baby boomers leave home for college and beyond, their parents are finding that their big homes are just a bit too big. They are also finding that they are facing a future that could mean lower incomes and inability to make larger payments on things like utilities, real estate taxes and such. The answer? Sell that big home that has the higher utilities and taxes. Use the equity as a nest egg. That also means that they will be looking for a smaller home. 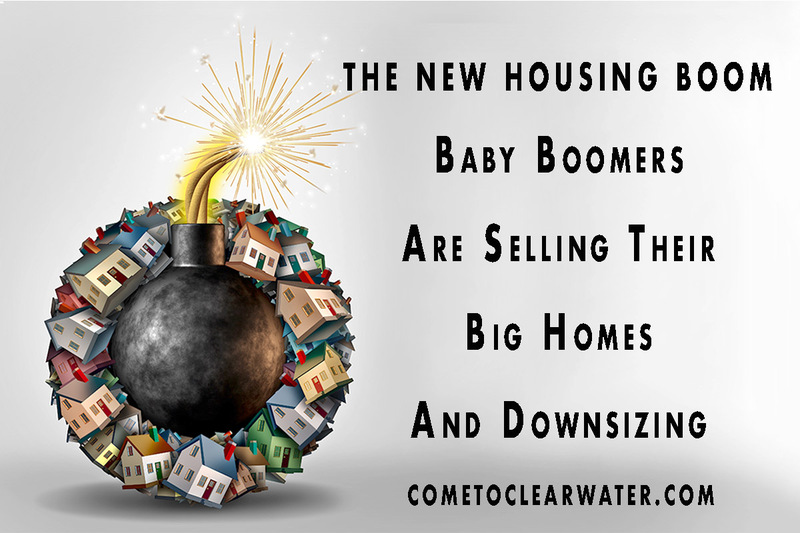 The first is that there will be competition for their smaller homes: first time buyers and the downsizing boomers. Competition means possible bidding wars and higher prices. Those higher sales mean more money to purchase the bigger home with less debt. That’s always good news. The second reason is the higher chance of getting a cash sale. It means a faster settlement and less red tape for both sides. Then, of course, there is the homes that the boomers are vacating. They are the bigger homes that the upsizing families are looking for. With more and more of them available it will mean better prices for those buying. Yet another plus for those smaller home owners. For baby boomers it means buying a home without the need for a mortgage, smaller utility bills, lower real estate taxes and costs. It could also mean adding money into the retirement sources of income. So this housing boom of sorts is a win win for both baby boomers and the owners of the smaller homes they want.